In Vietnam, which is being hit hard by the effects of climate change, not only the number of students choosing to study in the field of water is falling, but also their level of expertise. ‘Climate Proof Vietnam' is aimed at setting up an attractive curriculum at two universities that attracts more good students and is better adjusted to the demands of the labour market. The aim is to train a new generation of engineers who are well equipped to protect their land against the water. Because it is important that the new generation of young Vietnamese engineers can get started right away, the education programme has a practical approach. For example, there will be a field lab where students can practice and test. There is also a lot of attention for high-tech applications such as drones. This should not only attract many new students, it is also necessary that the new generation of water professionals can cope with new innovations. Besides, the labour market requires it. During a meet & greet on Tuesday evening, Prime Minister Rutte and the chairman of VNO-NCW Hans de Boer confirmed that well-trained staff is crucial for both Vietnamese and Dutch business. Furthermore, attention is paid to entrepreneurship and the academic staff of the universities are assisted in strengthening their research skills. All partners involved share their expertise in the field of governance, funding of new infrastructure and will also offer internships to students. 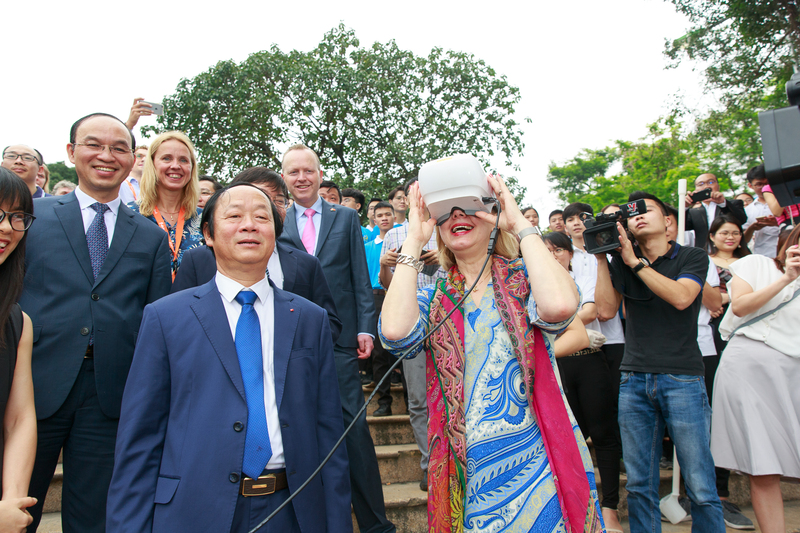 Dutch startups demonstrated their innovative solutions during the opening. 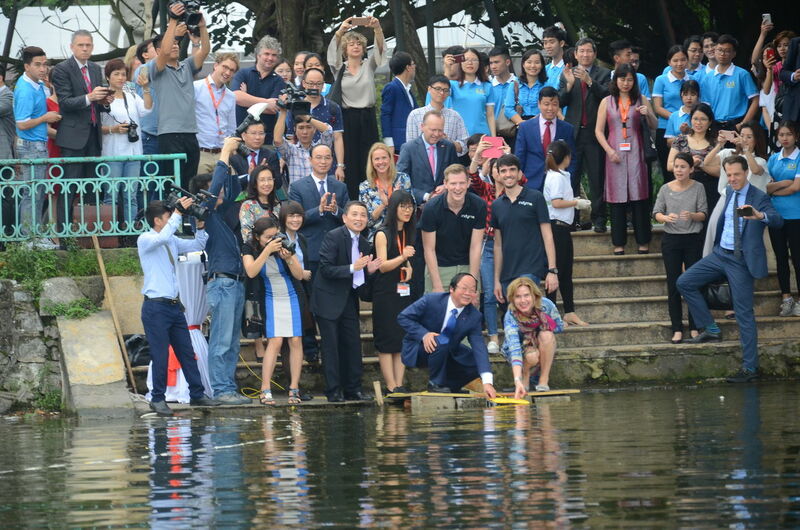 The drone that the ministers launched in the water is from the Delft startup Indymo and is equipped with sensors and a camera. It can be used for conducting inspections and measuring water quality. Another demonstration was from WaveDroid: a cheap but reliable smart buoy for real time wave measurements. In addition, Vietnamese students have measured water quality via the Akvo Caddisfly tool, a smartphone application that provides insight into water quality. 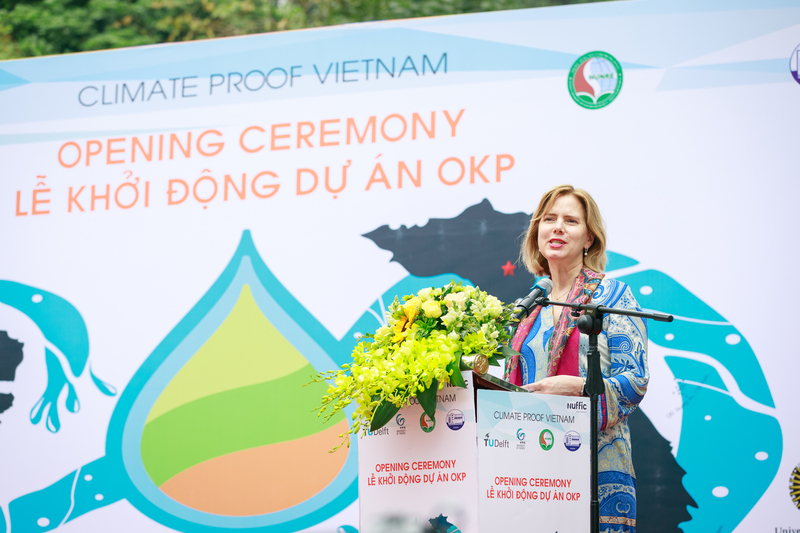 ‘Climate Proof Vietnam’ is a collaboration between Delft University of Technology, the University of Twente, Hanoi University of Natural Resources and the Environment and Thuy Loi University and part of the Orange Knowledge Program, which is funded by Nuffic. Dutch and Vietnamese public and private partners are also involved in this programme, such as Deltares, Royal Haskoning DHV, VINWater, Rijkswaterstaat, World Water Net, Utrecht University and CDR International.